ACEP is a member-driven organization with a representative body of our peers – the ACEP Council – chosen through component bodies, including our chapters (1 representative per 100 members), our Sections of Membership, and other aligned organizations. Each year, this body democratically votes to establish ACEP policy and elect leadership positions. Candidates present themselves to the Council through written statements, scheduled speeches, and unrehearsed Question and Answer sessions during the Candidate Forum, which is open to all members. Elections must be fair, follow guidelines applicable to all, and be free of undue influence or pressure on candidates. The ACEP Council’s Candidate Forum Subcommittee recently performed its annual review of the campaign rules to ensure a fair campaign and elections process for all Board of Directors and President-elect candidates. The changes were approved by the Council Steering Committee. This year, restrictions on the use of social media were substantially relaxed to allow forms of communication most of us use on a daily basis. In addition, protections were incorporated into the rules to keep candidate interviews in ACEP publications. Our goal is to avoid candidates being put in the position of commenting on College policy without adequate preparation and to ensure that the campaign process is fair and equal for all candidates. Certain candidates may unfairly benefit from coverage in non-ACEP publications, while some may be disadvantaged. In order to ensure a fair election, campaign questions and the vetting of candidates is the responsibility of ACEP, its Council and its Council Committees. If there are specific questions you would like asked of the candidates prior to the election, please send them to communications@acep.org. The Candidate Forum Subcommittee will consider them, the selected questions will be posed to candidates and their responses will be made public. For those who made the trip to Denver this past October, hopefully you were able to “add more science to your Scientific Assembly experience” by visiting the ACEP Research Forum. The forum included both oral and poster presentations highlighting cutting-edge research in our field. The Forum featured an expert panel discussing abstracts that have significant implications for emergency medicine practice or research. Last year marked the first for the ACEP Research Forum Scavenger Hunt. In order to bring additional interest, and add a little fun to the Research Forum, a scavenger hunt was created with collaboration from the researchers themselves. The scavenger hunt consisted of a set of questions for each day of the forum for non-researchers reviewing the posters to complete. The answers could be found in the poster presentations and each question was followed by a clue to guide you along the way. Questions for the hunt were contributed by over forty of the presenting researchers. The contributors were enthusiastic about the scavenger hunt, stating “It’s a great idea!! Very excited about it.” Another researcher appreciated that “It helped me not wait until the last minute to do my poster.” Summing up the goal of the scavenger hunt well, another contributor commented, “Thanks for increasing the awareness of the research projects. Cutting edge research is presented every year at the research forum by hard working practitioners in our field. Efforts to increase awareness and participation by non-researchers in the forum should be continued. The Scavenger Hunt is again being planned for the upcoming conference, ACEP13 in Seattle. Be on the lookout for a new and improved Scavenger Hunt with improved convenience and ease of access. Of course, don’t forget about the exciting ACEP prizes for those cunning enough to navigate the hunt! Editor’s Note: Nathaniel Schlicher, MD, JD, is the Associate Director of the Patient Safety Organization, TeamHealth and the Legislative Chairman, Washington Chapter of ACEP. Did you hear? “The ER physicians and hospitals have been abusing their privileges as providers of ER services for years,” according to the Chief Medical Officer for the Washington State Medicaid Program. These are the statements that make involvement in organized medicine and participation in leadership at all levels critical. But where do we acquire the skills to combat these misperceptions and outlandish statements? 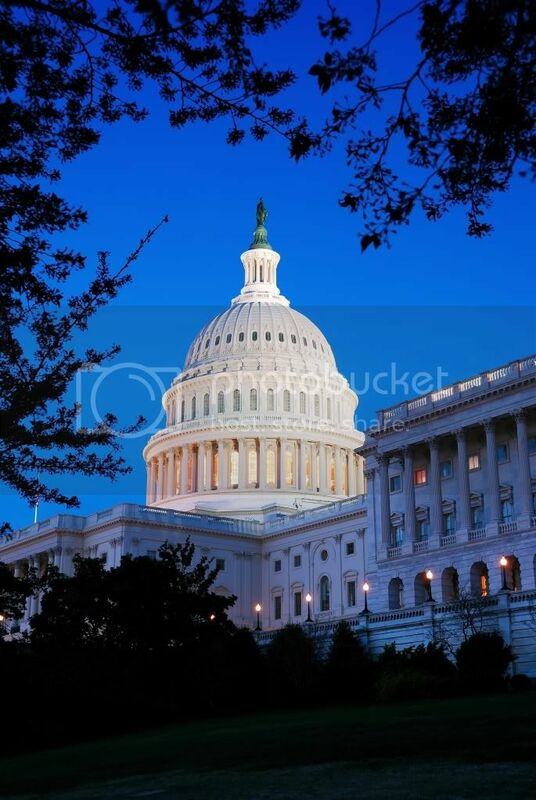 In May every year, there is a one of a kind event in Washington, DC called the ACEP Leadership and Advocacy Conference. It is an intimate conference with about 500 attendees, representing leaders in emergency medicine from across the country. The conference focuses on principles of leadership, current issues in advocacy, media training, and practical everyday leadership challenges that will confront leaders in every state. It is also an excellent opportunity to network with colleagues from across the country. When I first attended 5 years ago, I went as a member of the EMRA Chair’s Challenge and the incoming Legislative Advisor for EMRA – a neophyte to organized medicine by all accounts. It was an eye-opening experience to be talking with the leaders of our specialty. These were the people and faces that went with the legendary names I read about in Annals and ACEP News. Now I was talking with them, learning from their experiences and stories, and finding out how varied the opportunities were in emergency medicine. From chairs of departments, leaders of advocacy groups such as the AARP, AMA delegates, speakers of the council, and so many others, I had the chance to see and live the history of our specialty. Then on the final day of the conference, we put it all together and walked up to Capitol Hill as hundreds of physicians representing our millions of patients to share our stories with elected officials and change the face of medicine. This year it is my privilege to share with you my experience in Washington State, having put these skills into action on the local level. When I joined the Washington ACEP Board of Directors, I never imagined I would use so much of what I learned at LAC. From media training skills in doing press interviews and the gotcha journalism warnings, to relationships I have leaned on for statistical assistance in fighting misleading information, and the practice of speaking with legislators – these are all invaluable skills. If you have the slightest of desire to join the leadership of emergency medicine in your hospital as a facility medical director, at the state level in an ACEP Chapter, nationally on a committee, or be involved in one of the hundreds of other ways possible, I encourage you to attend ACEP’s Leadership and Advocacy Conference in May. It is the conference that I walk away from every year re-invigorated and ready to take on the challenges of caring for our patients in the halls of our department, but also and more challenging often, the halls of the Legislature. You will not regret coming to DC, but you might just regret missing it! Please send your stories to Tracy Napper at tnapper@acep.org. In all my career, I never met a patient that taught me so much as Staci. Staci, a 25-year-old business owner who presented with headache. A very routine case. You see, she has had similar headaches before. Strong family history of migraines. Her headaches usually get better with Excedrin but every once in a while comes to the ED for compazine or reglan with benadryl. This was no different this time. Normal exam, photophobia, no neck stiffness. She was treated in the usual fashion and felt much improved. She went home and smiled as she said thanks and good night. The next day Staci had more pain, worse than before. Imaging was done and the radiologist saw something suspicious. MRI showed a tumor. It had the classic appearance of the last thing you want to hear. After a workup, biopsy, and surgery she awoke on October 14, 2009 in the recovery room very cheerful and told everyone around her how much she appreciated the care she received. In the days that followed she was aware of her diagnosis of brain cancer. The neurosurgeons got all of it but wanted her to have chemotherapy, just to make sure. At St. Joseph’s there was concern about long lengths of stay and tremendous cost of EOL care. The Dartmouth study came out showing NJ as the state with the highest cost for end of life care. I had continued my interest and was on EOL committees and involved with the local hospice. I had plans to take the palliative medicine boards being offered about one year later, in November 2010. A month later Staci came in to the ED. She again had headaches. She was getting the chemotherapy. When I spoke to her the first thing she said was thanks for caring about me. Her neurosurgeon asked her to come back to the hospital and see what was going on. A CT showed post-op changes and mass effect. I felt comfortable telling her the tumor was back. I explained that the path report showed a highly aggressive tumor. I explained that some people don’t survive this. I asked her if she had been told this before. She said never. I was horrified. What have I done? She made me feel better when she then said that no one told her but she knew she got her medical record and knows she has a glioblastoma. She knew she would take a trip soon She didn’t know when See, Staci would say she was dying, she insisted she was taking a trip to Milan. She was waiting for her doctors to confirm it. They told her it doesn’t matter what it is – focus on the treatment. Staci was scheduled for surgery just after Thanksgiving. She had been in the ED twice for pain. Every time we spoke she said thanks. She said she made goals to spend Christmas with her family. She knew she could do it. Staci’s surgery went well medically but the tumor had grown much faster than they thought. She would not leave the hospital. She was going to be admitted to inpatient hospice. Well, that’s what the surgeons and oncologist said. December 11th Staci painted her nails stiletto red and signed out of the hospital AMA. Over the next 14 days she put her life in order. She sold her business and took care of all financial issues, made arrangements for her pets and had plans for her clothes and furnishings to be donated to a women’s shelter. She put her house on the market and decorated it for Christmas. She even bought Christmas presents. Wrote notes to her nieces and watch her favorite basketball team with her dad. Her health continued to decline but her pain and non-pain symptoms were well controlled. She told me she was going to make it to Christmas but not to New Year’s. On the 23rd she wrote the 22 things you must do before you die. Staci slept most of the 24th and couldn’t have Christmas Eve dinner with her family. She wasn’t upset about this. She couldn’t eat anyway. She was saving her energy for the 25th. Her nieces woke her at 5am. Late on the evening of the 25th she told me it was the best Christmas ever. Her mom and dad were there, her nieces and all those she cared about . She was ready for her trip, she said. I asked her when she was leaving. She said in a couple days. I last heard from her on the morning of Dec 28th. She said goodbye and thanks. She asked me to share her list of the 22 things to do before you die. She died in her sleep that night. Tell people that you love that you love them. Keep Pushing … what’s the worst that can happen? Don’t worry about things you never had a chance to do. Cherish the things you did. Give hope to those still in the fight. Run up your credit cards, Banks are the last to know. Acknowledge the people who are close to you will be sad and think it’s not fair;.comforting them for some reason comforts you. Make peace with friend and foe. It’s OK to cry even if you tell others not to. Take care of your pets. They love you unconditionally. Leave plenty of food and water out for them because friends and family will forget to feed them. If there are children or loved ones write a letter in words they can understand. Record an audio message; videos show death but your voice doesn’t have to reflect that. Keep in mind that no parent nor spouse wants to watch you die; comfort them. Let them know it’s not their fault. They will never forget that conversation. Keep pushing; drink Red Bull. You have plenty of time to sleep when you are dead. Support groups are fine – BUT – having one true friend listening is like Mastercard commercials: Priceless. Die at home if possible. Sign out of the hospital. Don’t turn your home into a morgue; have as little medical equipment as possible. Believe in things that are out of sight – Santa Claus, flying reindeer, virgins have babies, and me! Don’t let a scared family member call 911. Know when to give up your car keys. On Jan 7th St. Joseph’s started an ED-based palliative medicine program and Palliative Care Emergency Center. We have treated and cared for more than 300 EOL patients in the first 18 months. You are currently browsing the archives for the ACEP Updates category.